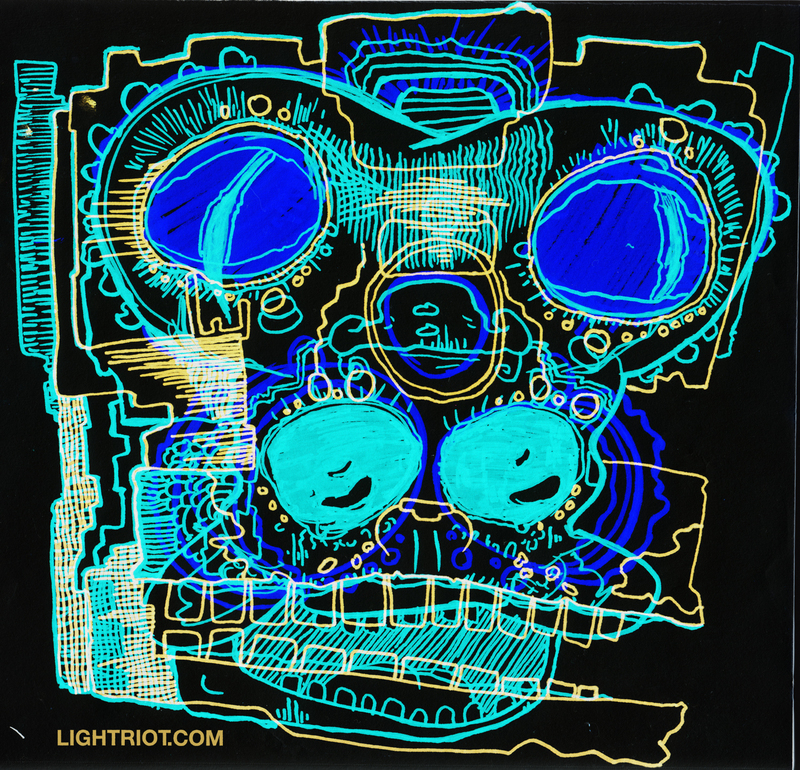 Rio Aubry Taylor presents LIGHTRIOT | Sketch-blog of an alien-cat-sorcerer. THANK YOU to everyone who helped support this blog while it was up! I learned so much and I’m still making art (it’s just posted in other online places now). YOU ROCK! 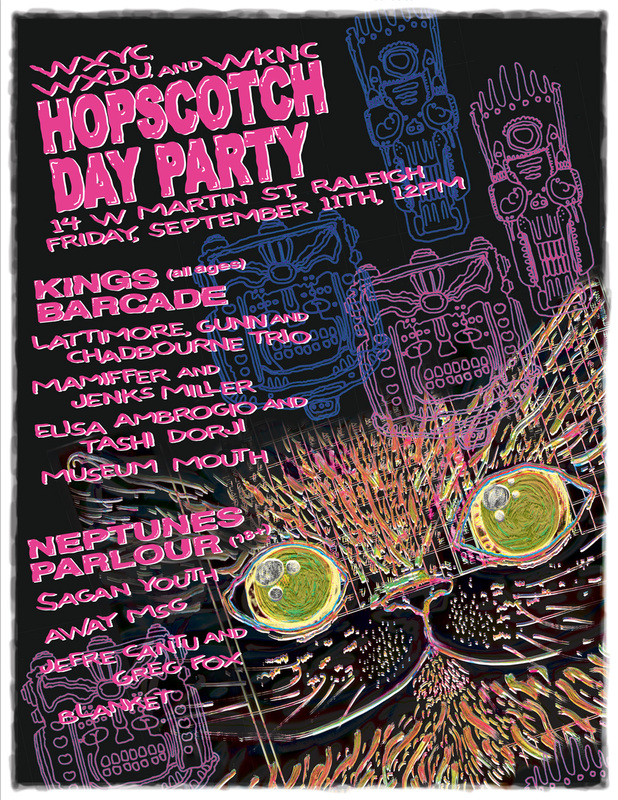 I made this flier for the joint radio stations’ day party during the Hopscotch Music festival in Raleigh, NC. Killer line-up. I may show up myself. Stay tuned to this blog for important updates on my giant comics project, set to launch SOON!